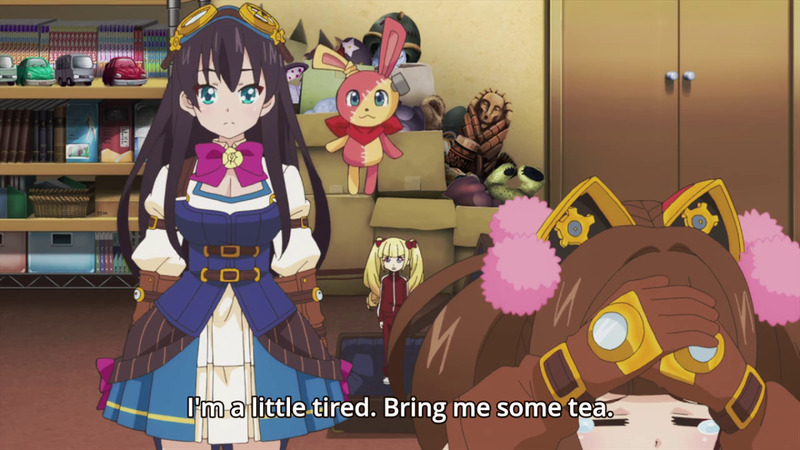 We're about a month into the first anime season of the year, and I've been working hard trying to stay on top of several shows, because that's kind of my job. But it's not yours (probably), so you might still be stuck trying to decide what you want to watch. Or maybe you're already watching a few shows but might want to add some more. So depending on what you like, here are some recommendations! This season is stacked with a lot of great options, possibly more so than any other season in memory! As much as I try to watch a lot of anime, I can't watch it all, so there are going to be some great shows that I'm missing out on. I try to be diverse in what I watch, and that means watching some terrible shows too, so for good recommendations that narrows what I have on the table. Feel free to make additional recommendations in the comments if you're watching something I might be missing on this list! 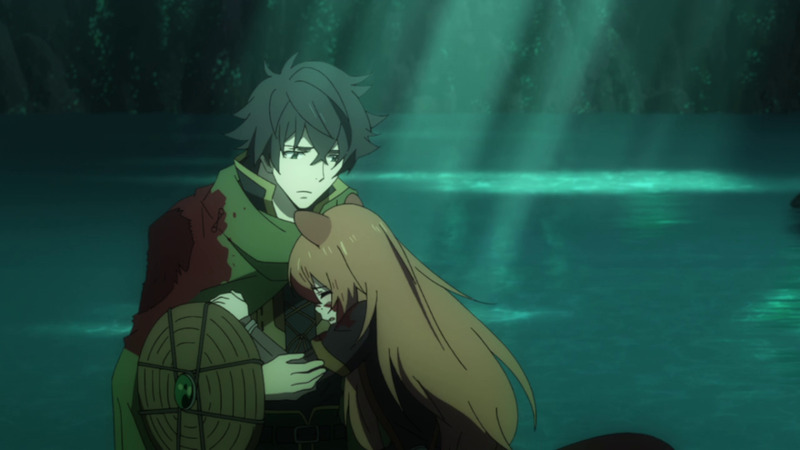 There are a few good fantasies this season, but my recommendation goes to "Tate no Yuusha no Nariagari." It follows the age old trope of 'person from our world gets transported to fantasy realm to be a Hero' but it follows more of a drama theme than a comical one, and that decision works fairly well. For a brief synopsis, Naofumi - a bit of an otaku but not unhealthily so - reads a magical book that transports him to the Kingdom of Melromarc where he becomes one of the prophesied Heroes of Legend. After being betrayed and framed for a crime he is declared a criminal and outcast. This makes forming an adventuring party impossible. Now he must survive the waves of calamities created by the Dark Lord and defeat the Dark Lord alone, as well as clear his name. At the time of this writing I'm two episodes in, and without spoiling anything else, it's quite touching and endearing at times. The art is pretty good for a TV release (oftentimes in anime art is retouched for the DVD release to fix animation errors). The story is an interesting twist on an overused trope. And the fantasy setting is well built. If you like fantasy, this is my recommendation. As with every season, this is a loaded category full of options, but I'm going with Bermuda Triangle: Colorful Pastrale. It's a cute slice of life about five teenage mermaids who live in a rural town underwater. 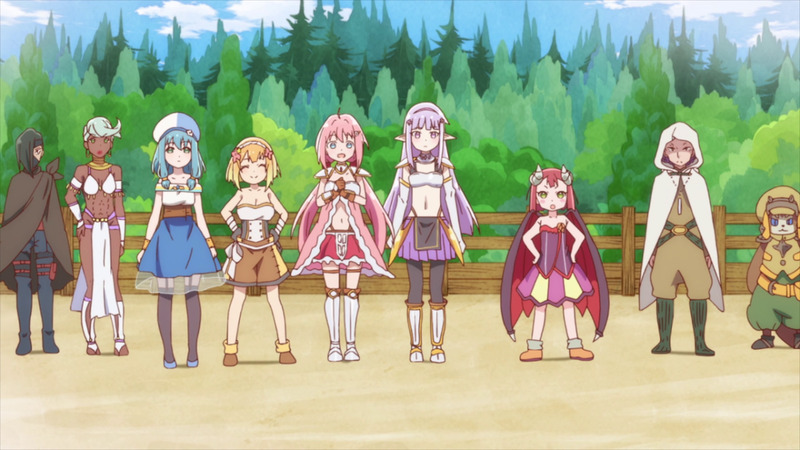 The animation is cute, the premise is cute, and the semi-fantasy setting is cute. In it, four girls who live in the small underwater village of Parrel befriend someone who moved from the big city to escape her anxiety because she was being scouted as an idol. After finding a run-down old theater in their little village, they begin working together to repair it. It's touching, charming, and as someone who has been diagnosed with an anxiety disorder, watching a character also struggling with anxiety is comforting, as we learn it's not so simple as being able to just run away from it. 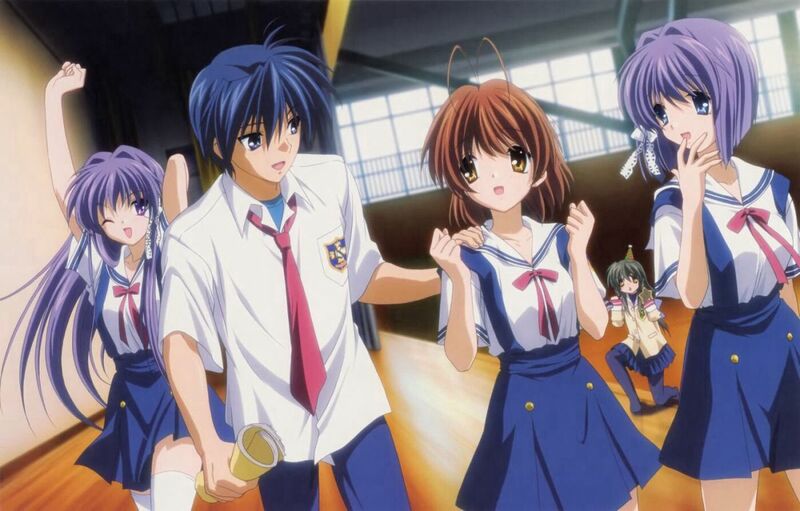 Still, despite the young Kanon's mental health being explored, the show is still very lighthearted, charming, and suitable for audiences of all ages. One would think that Mahou Shoujo Tokushusen Asuka would be the obvious choice at it literally has "Magical Girl" in it's title, but I'm saving that for a different category. Instead I'm going with Pastel Memories, which is every bit as good but may have flew under the radar as there wasn't much in the promotional material to let people know that it's a magical girl anime unless you've played the game the series is adapted from. In it, a group of girls work at a cafe in the Akihabara district but anime and manga has become a dying medium. It turns out that the villain is travelling into the worlds of anime and manga and infecting these worlds viruses, causing the stories to become less popular and forgotten over time. Our heroes then travel into these worlds and use magical weapons and costumes to defeat the villain and the virus. These worlds, it should be noted, are based on actual anime and manga - though following the usual anime trope of changing the names for legal reasons. See how many you recognize! 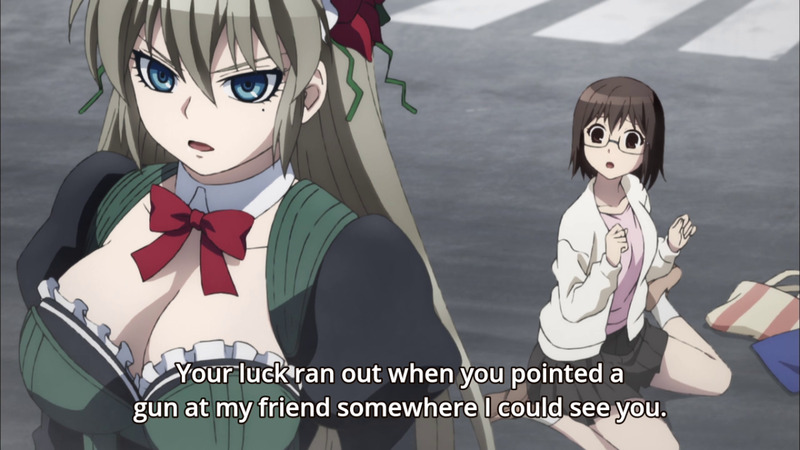 This is the magical girl anime that I mentioned in the last section. Be warned that this is a violent series. Not quite Attack on Titan levels of violence, but it has it's moments. 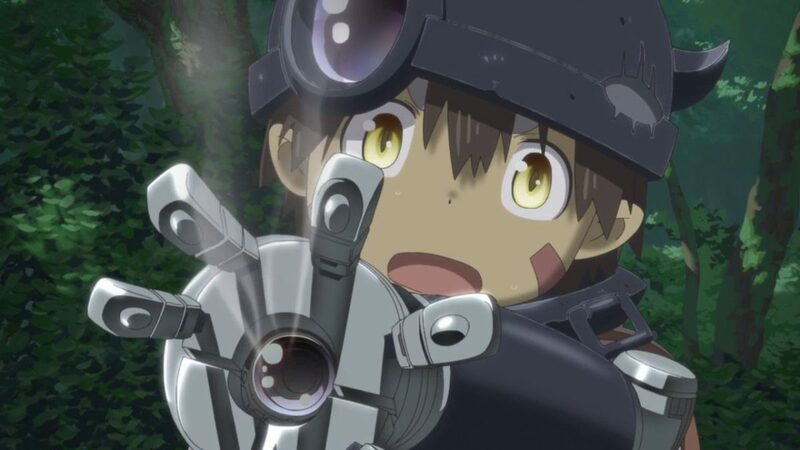 In this Magical Girl Spec-Ops Asuka, due to an invasion governments around the world have developed the technology to create Magical Girls, and have of course militarized them. 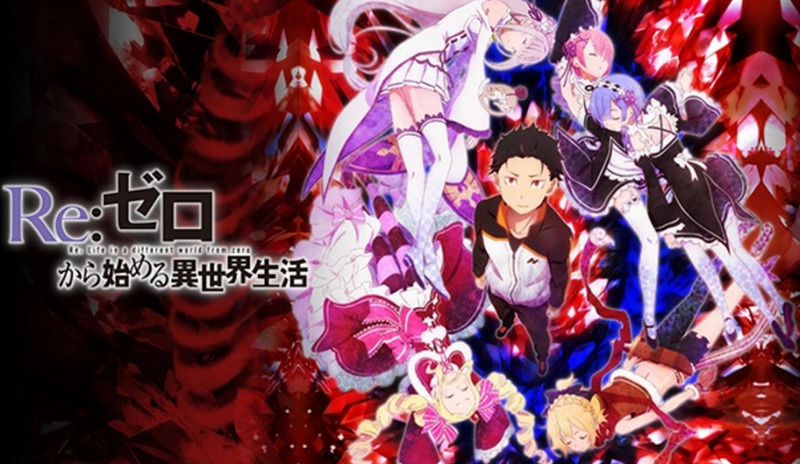 After the war has ended, these Magical Girls have entered civilian life in various ways. Some have become mercenaries, some have moved onto completing school, some have moved onto crime. Asuka, a retired Magical Girl tries to integrate into high school life, but a series of terrorist attacks begins and when one of her new friends at school is caught in the crossfire, Asuka is forced out of retirement to protect those who mean the most to her as the world prepares for an even greater war. Again, this series is violent. It's bloody. It's disturbing. But if you like action, this series is perfect for you. This season doesn't have much in terms of pure horror shows, though maybe I'm missing a series in what I'm watching, so if you have something better suggest it in the comments. Boogiepop wa Warawanai is a remake of the 2000 series about a girl with a spirit living in her called Boogiepop. 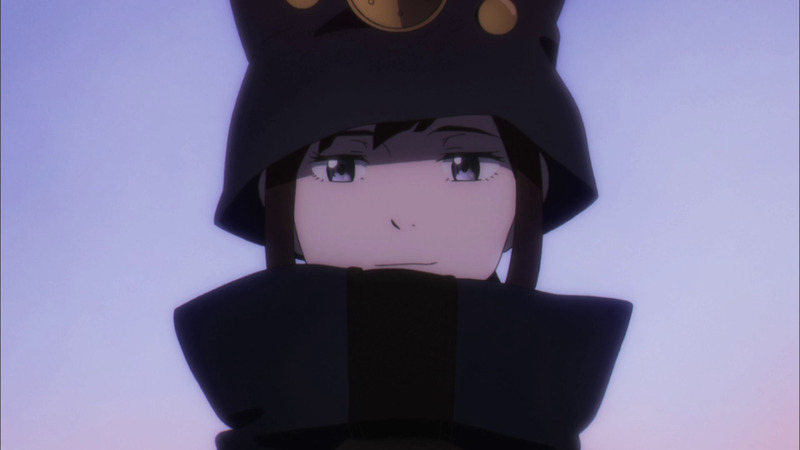 She is unaware of Boogiepop, but Boogiepop comes out in times of trouble to combat supernatural beings who would pose a danger to the world. I haven't watched the original series so I can't give a comparison, but on my social media it seems to be getting great reviews. The format is broken into separate stories, following something a "villain of the week" formula, but instead of a week it's three episodes. 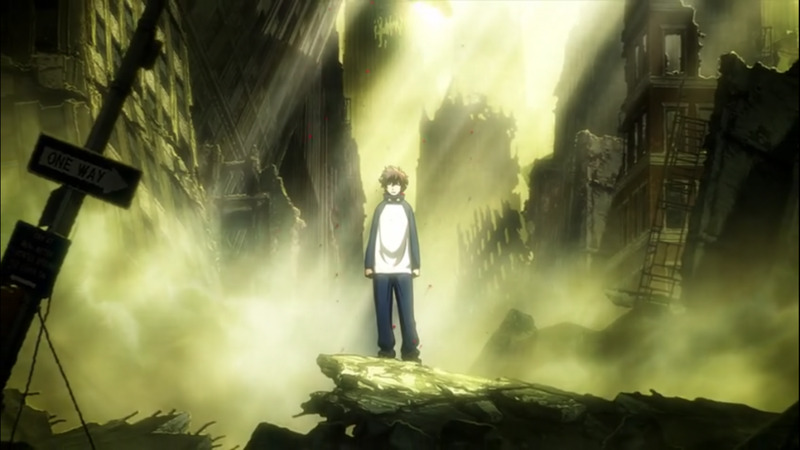 It has some horror and violence, but for the most part it's just drama with supernatural themes. It's still a good show and I would recommend it for people who enjoy supernatural shows. This show is... well, it's different. I'm not sure if it's good. But you really only need to watch the first 4 minutes of each episode. It's about a girl named Ekoda-chan who is a single woman and her affairs. 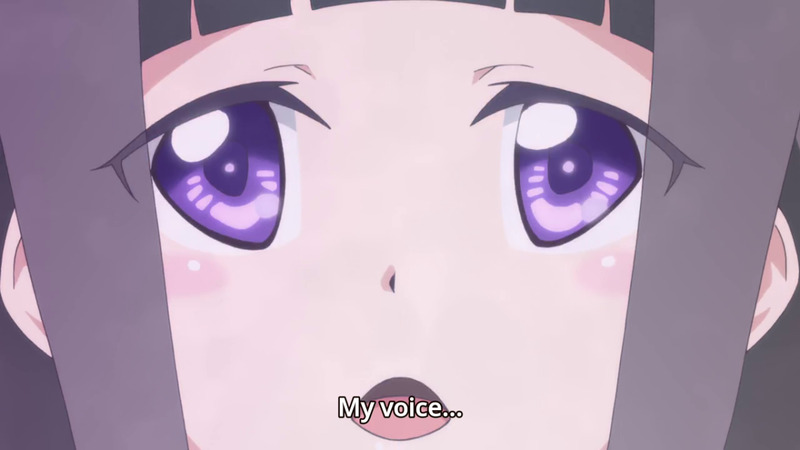 Each episode is a 4 or 5 minute animation followed by an interview with that episode's director and voice actor. Each episode has a different production team working on it and a different voice and director for Ekoda-chan, so each episode is very different from each other and there is no continuity. I can't exactly recommend this series to everyone - nor can I show a screenshot because there's very few scenes that are appropriate for a family-friendly site - but if you want something different, this is about as different as it gets! These are just a few recommendations based on what you might already enjoy. There are other series out there as well. If these don't suit your tastes, I also recommend season 2 of Kemono Friends, Endro! (Which was used as the header image for this article), Yakusoku no Neverland (The Promised Neverland), Egao no Daika (The Price of Smiles), and Kemurikusa - which I believe is this season's sleeper hit that falls under the radar. And of course there's more! 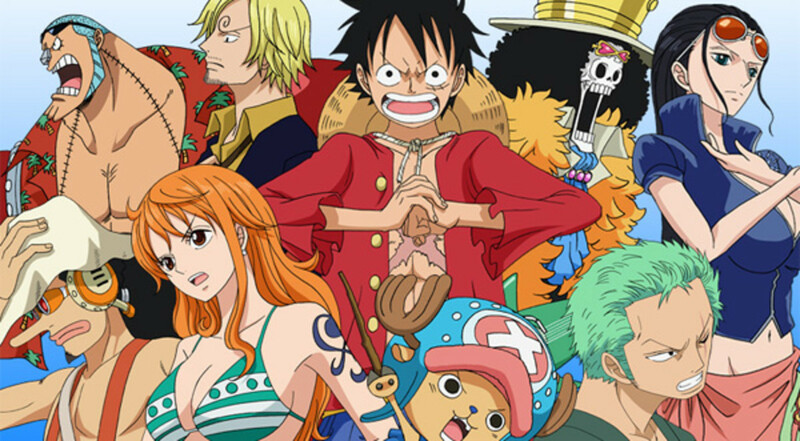 What do you recommend fans of anime watch this year! Tell us what and why! 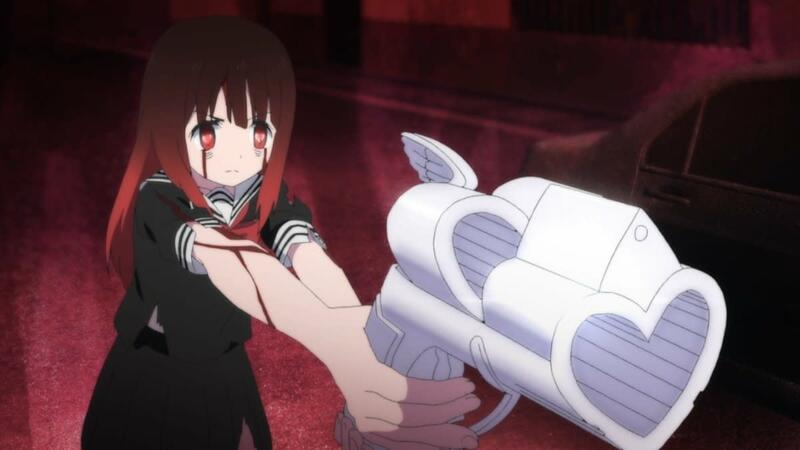 Magical Girl Site: Proof That Anime Has Abandoned Subtlety?